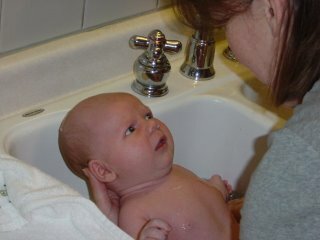 Alex gets his first bath where he's fully submersed. He loves his bath! He looks concerned like "what the hell does she think she's doing?"